Whether or not you have hair loss from your chemotherapy depends mostly on the type and dose of medication you receive. But whether you can maintain a healthy body image after hair loss depends a lot on your attitude and the support of your friends and family. Chemotherapy and Hair Loss : Why does it occur? Chemotherapy may cause hair loss all over your body — not just on your scalp. Sometimes your eyelash, eyebrow, armpit, pubic and other body hair also falls out. Some chemotherapy drugs are more likely than others to cause hair loss, and different doses can cause anything from a mere thinning to complete baldness. Talk to your doctor or nurse about the medication you’ll be taking. Your doctor or nurse can tell you what to expect. Fortunately, most of the time hair loss from chemotherapy is temporary. You can expect to regrow your hair three to 10 months after your treatment ends, though your hair may temporarily be a different shade or texture. Chemotherapy and Hair Loss : What should you expect? Hair usually begins falling out one to three weeks after you start treatment. It could fall out very quickly in clumps or gradually. You’ll likely notice accumulations of loose hair on your pillow, in your hairbrush or comb, or in your sink or shower drain. Your scalp may feel tender. Chemotherapy and Hair Loss : Can Hair Loss be prevented? 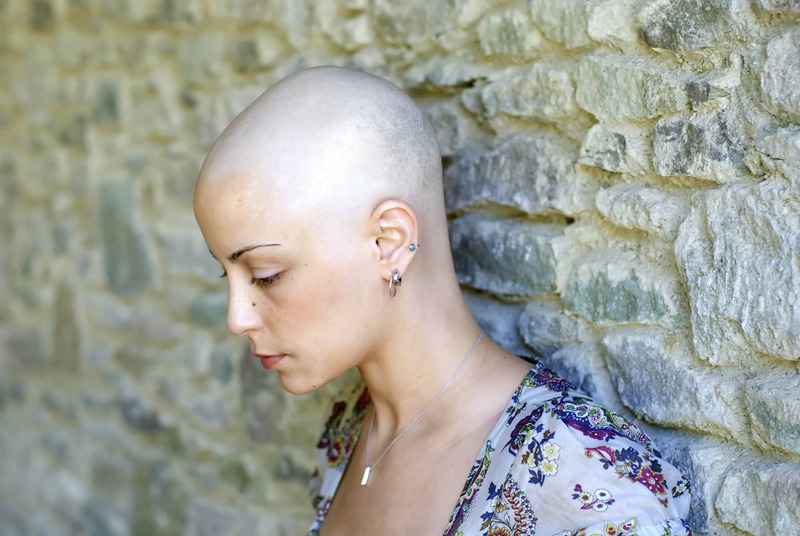 No treatment exists that can guarantee your hair won’t fall out during or after chemotherapy. The best way for you to deal with impending hair loss is to plan ahead and focus on making yourself comfortable with your appearance before, during and after your cancer treatment. Scalp hypothermia (cryotherapy) – During your chemotherapy, ice packs or similar devices are placed on your head to slow blood flow to your scalp. This way, chemotherapy drugs are less likely to have an effect on your scalp. Studies of scalp hypothermia have found it works somewhat in the majority of people who have tried it. However, the procedure also causes a small risk of cancer recurring in your scalp, as this area doesn’t receive the same dose of chemotherapy as the rest of your body. People undergoing scalp hypothermia report feeling uncomfortably cold and having headaches. Your hair loss generally can’t be prevented or controlled, but it can be managed. Take the following steps throughout your treatment to minimize the frustration and anxiety associated with hair loss. Consider cutting your hair. Short hair tends to look fuller than long hair. So as your hair falls out, it won’t be as noticeable if you have short hair. Also, if you have long hair, going short might help you make a better transition to total hair loss. Plan for a head covering. Now is the time to start thinking about wigs, scarves or other head coverings. Whether you choose to wear a head covering to conceal your hair loss is up to you. But it’s easier to plan for it now rather than later. Ask your doctor to write a prescription for a wig, the cost of which may be covered by your health insurance. Baby your remaining hair. Continue your gentle hair strategies throughout your chemotherapy treatment. Use a soft brush. Wash your hair only as often as necessary. Consider using a gentle shampoo. Consider shaving your head. Some people report that their scalps feel itchy, sensitive and irritated during their treatment and while their hair is falling out. Shaving your head can reduce the irritation and save the embarrassment of shedding. Some men shave their heads because they feel it looks better than the patchy hair loss they might be experiencing. Be patient. It’s likely that your hair will come back slowly and that it might not look normal right away. But growth takes time, and it also takes time to repair the damage caused by your cancer treatment. Ask your doctor or a hospital social worker about resources in your area to help you find the best head covering for you. Look Good … Feel Better is a free program that provides hair and beauty makeovers and tips to women with cancer. These classes are offered throughout the United States and in several other countries. Many classes are offered through local chapters of the American Cancer Society. Look Good…Feel Better also offers classes for teens with cancer, as well as a website especially for men. Radiation therapy also attacks quickly growing cells in your body, but unlike chemotherapy, it affects only the specific area where treatment is concentrated. If you have radiation to your head, you’ll likely lose the hair on your head. Your hair usually begins growing back after your treatments end. But whether it grows back to its original thickness and fullness depends on your treatment. Different types of radiation and different doses will have different effects on your hair. Higher doses of radiation can cause permanent hair loss. Talk to your doctor about what dose you’ll be receiving so that you’ll know what to expect. Radiation therapy also affects your skin. The treatment area is likely to be red and may look sunburned or tanned. If your radiation treatment is to your head, it’s a good idea to cover your head with a protective hat or scarf because your skin will be sensitive to cold and sunlight. Wigs and other hairpieces might irritate your scalp. Guci Image, world leader and innovator in Women’s Hair Loss solutions, has been treating women and children of all ages suffering from Chemotherapy related Hair Loss for over almost two decades. With an extensive background in theatrical design, Guci has created a custom three-step Chemotherapy process called “STAGES”. While the process of growing your hair back takes some time, Guci will utilize three-types of custom wig designs or technologies in order to combat the different stages of Hair Re-growth. Every person and case is treated differently. Some people utilize “Stages” technology combined with “Laser Therapy” to speed up the growth process, while others utilize “Extensions” when hair reaches 3 inches of length to achieve the desired look they want. Whether your three-step process is Custom lace wigs only or any combination of our technologies, you can rest assure that Guci Image and the “STAGES” process will give you back your confidence and self-esteem and allow you to feel great about yourself again. If you have already undergone Chemotherapy or plan to do so in the near future, Please Call 201-734-0051 for a COMPLEMENTARY CONSULTATION and find out what Guci Image and “STAGES” can do for you.